The name is PlayStation 4. Sony is following the numeric upgrade in naming convention representing its console generation, which is indeed a good and easy marketing and branding tactics. We had been quite certain about the name of this game console because of the names of past generations of PlayStation. Also, the name is not like Apple’s iPhone where we get iPhone 4, then iPhone 4s. 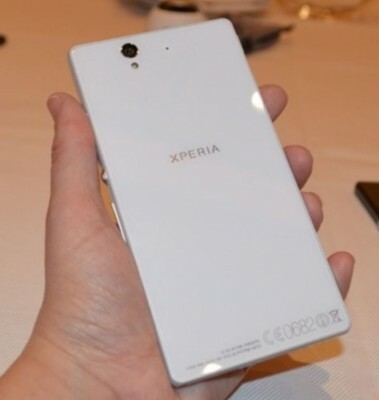 Till now, Sony has avoided weird naming and adhered to its standard, simple yet representative naming strategy. This is unlike xbox which has 360 in its name and going by maths, we predict the next xbox to be 720, but we’ve suspicion around the name of the next xbox because of its somewhat weird naming convention. Single Chip Custom processor which has eight x86-64 AMD Jaguar CPU cores and 1.84 TFLOPS next-gen AMD Radeon based graphics engine. This is migration from cell chip technology present in PS3. This also makes it clear that PS3 game titles won’t play on PlayStation 4. – The chipset is more based on PC architecture which hints a major change in gaming experience, design and implementation as well as how future gaming is going to be affected. Since this is custom processor, we can’t actually comment on how powerful the processor/GPU is, but given the growing hardware requirements of modern games, the chipset is designed certainly to deliver next-generation performance, because we all know that these gaming consoles last more than few years. Point to be noted: Nvidia is not here in picture. 8GB GDDR5 memory – Well, this is sufficient for gaming and because it’s a GDDR5 memory chip, the speed will be, no doubt, very good. Built in Hard drive – Although, we don’t know the capacity of the inbuilt hard drive and if PS 4 is going to come in variable storage capacities. 6x Blu-Ray and 8x DVD drive – As we’ve said earlier that PlayStation 3 was excellent Blu-ray player and so is PS 4 going to be. (Note: PS 3 had 2x blu-ray drive) So, with the new Blu-ray drive, you’ll not experience painful slow speed. USB 3.0 and auxiliary ports – We all are acquainted with speed of USB 3.0 ports, aren’t we? Well, we’re glad that the next-generation console contains USB 3.0 ports. Gigabit Ethernet, 802.11 b/g/n Wi-Fi, and Bluetooth 2.1 – WiFi, Ethernet are undoubtedly faster, but why Bluetooth 2.1? Why not Bluetooth 4.0? Not many of us use Bluetooth – could be one reason for this outdated bluetooth configuration. HDMI, analog AV-out, and optical S/PDIF audio output – These are usual ports and connectivity options indispensable. As important gaming console is, so important game controller is. Sony has introduced all new PlayStation 4 controller called as DualShock 4 controller. 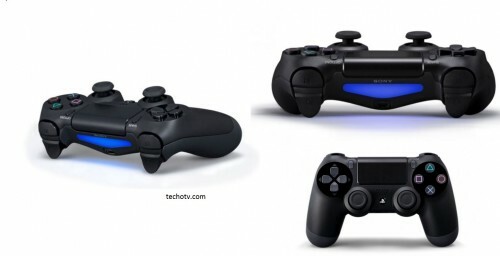 The design is similar to DualShock3 controller, albeit with few major changes. As reported earlier from the leaked images of PS4 controller, the new DualShock 4 controller for PlayStation 4 has a touchpad located at the front of the controller, just above the analog sticks. The touchpad can register two points of touch.Select and Start buttons are no longer present. Instead a new option button is there that integrates functionality of those two buttons. Moreover, a new share button is there that will allow you to stream your gameplay in real-time to friends through online services like Ustream. Gamers can also upload their triumphs and accomplishments to Facebook with the “SHARE button” to provide more social experience into gaming. The buttons and sticks also have little different and more appreciable ergonomics that PS 3 controller. It also features a light bar on the top. The light bar can illuminate in three different colors based on players identity or to depict certain game conditions/scenario like turning red if you’re running on low health in the game. So, the light bar provides visual feedback for the game being played. Another surprising aspect of this new controller is the presence of inbuilt speaker in it and stereo jack. This way you can receive sound output from controller as well as TV for high-fidelity sound experience. A mono headset will also be bundled with PS4 which will allow gamers to engage in voice chatting while the controller produces game sound. There are six-axis motion sensing system (three-axis gyroscope, three-axis accelerometer), motion sensor, usb(Micro B), directional and action buttons, R1/L1/R2/L2 button, Left stick / L3 button, Right stick / R3 button, Pad Button, PS button, SHARE button, OPTIONS button. The controller weighs 210 gram (although the weight may change when the actual product is launched). 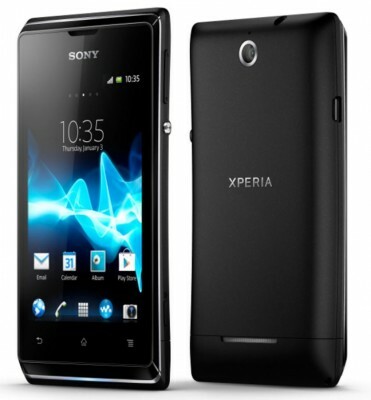 It also has inbuilt lithium-ion rechargeable battery. PlayStation 4 Eye is completely new and sophisticated with two advanced high-sensitive cameras that have wide angle lenses providing 85-degree angle views. Both the cameras are capable of 1280 x 800 pixels. Each camera can capture 1280×800 pixel @ 60fps, 640×400 pixel @ 120fps, 320×192 pixel @ 240fps. PS4 Eye can observe the depth of the space and the distance from the players more precisely. It can also detach the player from his background to grasp player’s positions in front and behind. Moreover, it has 4 microphones to capture sound and recognize voice and its source accurately. PS 4 Eye also enables players to log into their console with face recognition features. It also communicates with DualShock4 controller’s light bar to judge the position of gamers in multiplayer scenario and set the game characters position and color accordingly. 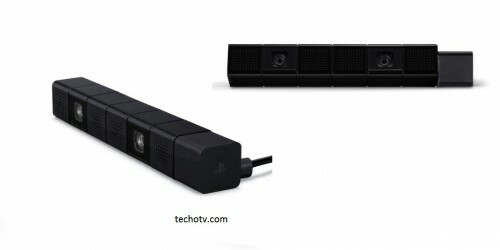 PS4 Eye also detects PlayStation Move motion controller’s movements better than ever. It contains a secondary chip to manage uploads and downloads even if the power if off. PS 4 has always On video compression that allows gameplay videos to be directly streamed or uploaded online and shared with friends in realtime. Your friends can watch your gameplay live with this. The power button will allow gamers to suspend and resume gameplay. So, no longer, long boot times. Smartphones, tablets can be used as second screen with new PlayStation app that is being developed to browse friends’ gameplay videos, to navigate maps for the currently played games, etc. With more emphasis on social gaming experience, your friends will be notified if you buy certain games. You can even buy games on the go. Second screen functionality for PS Vita – If the game supports it, you’ll be able to play PS 4 titles on PS Vita. PlayStation 3 games can not be played on PlayStation 4 i.e. PS 4 is not backwards compatible. As we’ve said earlier, Sony will be integrating more of Gaikai, cloud-based gaming technology, into its PlayStation 4. Gaikai is cloud gaming service acquired by Sony. Players will be able to play PS 4 games online, while the game is being downloaded in background with GaiKai. Gamers will be able to play PlayStation 4 games online for free before buying it with the help of GaiKai. Used games i.e. second-hand games will be playable on PlayStation 4. This is good news in contrary to past rumors that suggested that used games industry is going down. PlayStation 4 will continue to serve as media system as well by supporting streaming services and content from Hulu Plus, Crunchyroll, Crackle, Netflix, Vudu, Epix, Facebook, Music Unlimited, Video Unlimited, and Amazon Instant, etc. AT E3, Square Enix to present a new final fantasy game for ps4. All game developers are in favor of PS4. The Witness will be released for PlayStation 4. This is a new first-person puzzle game that will have 25 hours of unique puzzles to play. As Jonathan Blow quotes “a game about epiphany, that instantaneous transition of the mind that takes you from confusion to understanding.”. Guerrilla Games is not finished with Killzone business. Speaking at Sony’s PS4 event, Herman Hults, managing directory of Guerrilla Games, unveiled the next part in franchise – Killzone: Shadow Fall. He said that this is a story about the loss of home, the search for a new home and the lengths people would go. The game graphics looked superb in the demo. It’s a cold-war like environment. The gameplay seems fully intense with lots of shooting and action. Infamous: Second Son – Sucker Punch, the developer of this game franchise, has announced this PS 4 exclusive title. It’s time to free up from control. Its trailer is also posted here. Drive Club – Evolution Studio is working on Drive Club for PS4. This game will feature cool cars with real life-like driving. 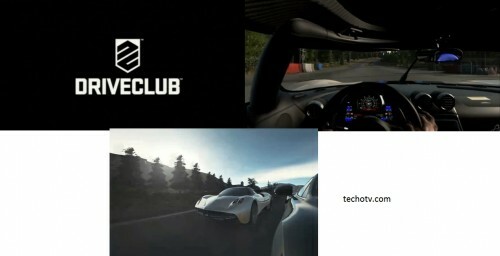 It’ll also bring more social gaming with team-based driving and competing in clubs, etc. Knack – This exclusive PS 4 game is more like animated movie with characters and storyline – all as in some sort of animated movie. 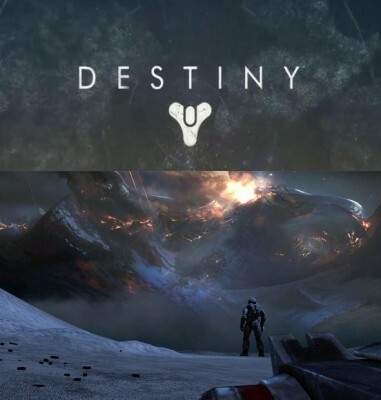 Bungie’s Destiny – This game is also coming to PlayStation 4 in addition to PS 3. 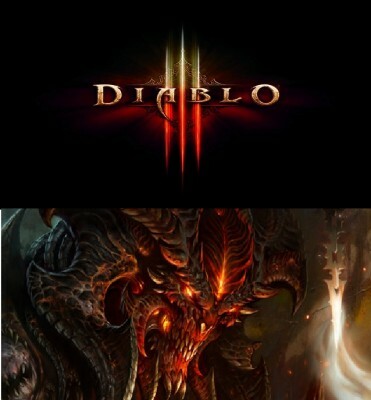 Diablo 3 – With partnership between Bilzzard Entertainment and Sony, Diablo 3 will be coming on PS 4 as well as on PS 3. It will support 4-players co-op mode on the same screen promising intensive multiplayer gaming experience. More Games from several other developers and studios will be announced at E3 event. 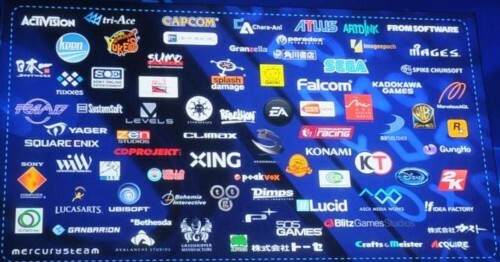 All the developers listed in the image below is said to be on the table with the new PS4. At PS4 event, even the console was not shown. We heard, saw game demos, upcoming features on console; but the console itself was not showcased. Sony has promised for holiday release of PS4, but the exact release date of PlayStation 4 is not announced nor any details on its pricing. Well, this may be strategic on Sony’s part. 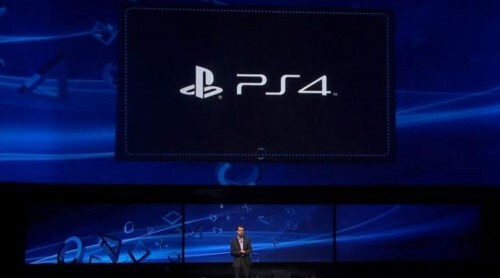 We’ve earlier reported that PS 4 will be released in last quarter of 2013 in US and Japan, whereas in Europe, the console will debut at the start of 2014. We’ve also reported about PlayStation 4 price to be around $400-500 based on rumored info from insider sources. Well, we can do nothing, but wait for the same, but this definite wait is worth as we’ll have time to see what Microsoft is bringing on the tablet with the next Xbox and how the two devices stand against each other. Does PS4 meet your expectation? Put your opinion in comments!